As far as Yorkshire terriers go, Boo and Pistol are about as famous as their parents Johnny Depp and Amber Heard after they escaped a threat to be destroyed in Australia -- and now the fur family is fighting an animal importation charge. 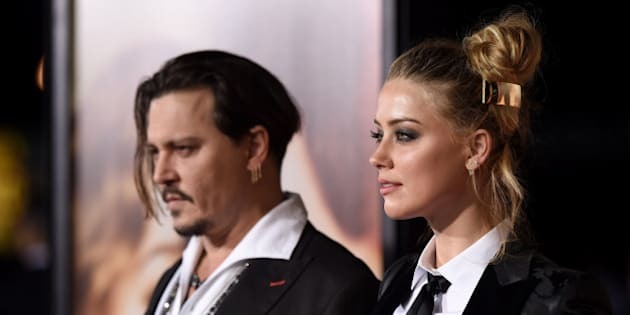 The celebrity couple breached biosecurity laws when they brought the pups to Queensland while Depp was on set for the latest Pirates of the Caribbean film. Then-Agriculture Minister Barnaby Joyce threatened to euthanase the dogs lest they spread disease, but Heard took them back to the U.S.
"Whilst I am unable to comment on the specific matters before the Court I would like to say that I respect the importance of Australia's laws. "My decision to defend these charges, as will become apparent in the appropriate forum of the Court, is not intended in any way to diminish the importance of Australia's laws."